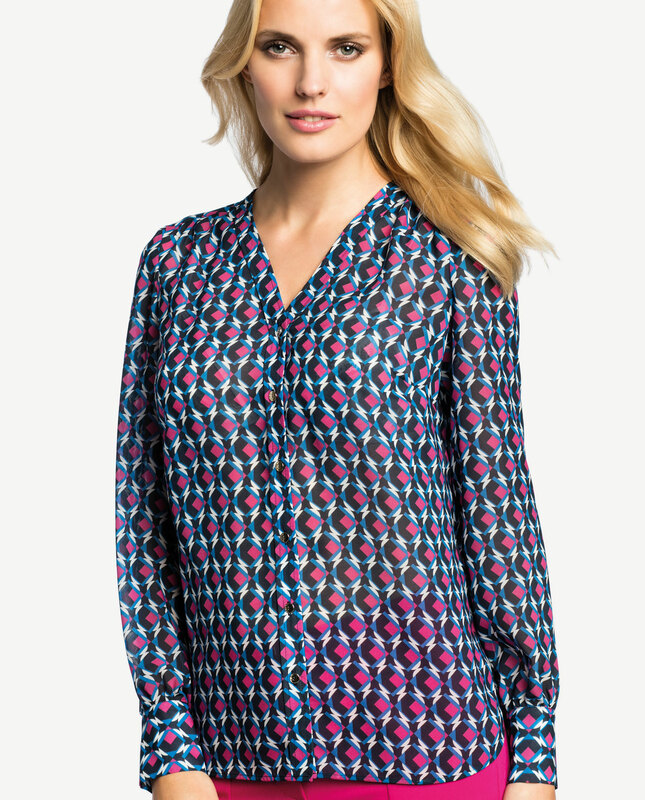 Summer blouse in a colorful geometric print. The combination of a juicy palette and a relaxed style will brighten up you wardrobe and get it ready for spring. The V-neck elongates the frame and makes it look slim. Sleeves finished with cuffs provide for a somewhat lighter touch and airy character of the whole look. 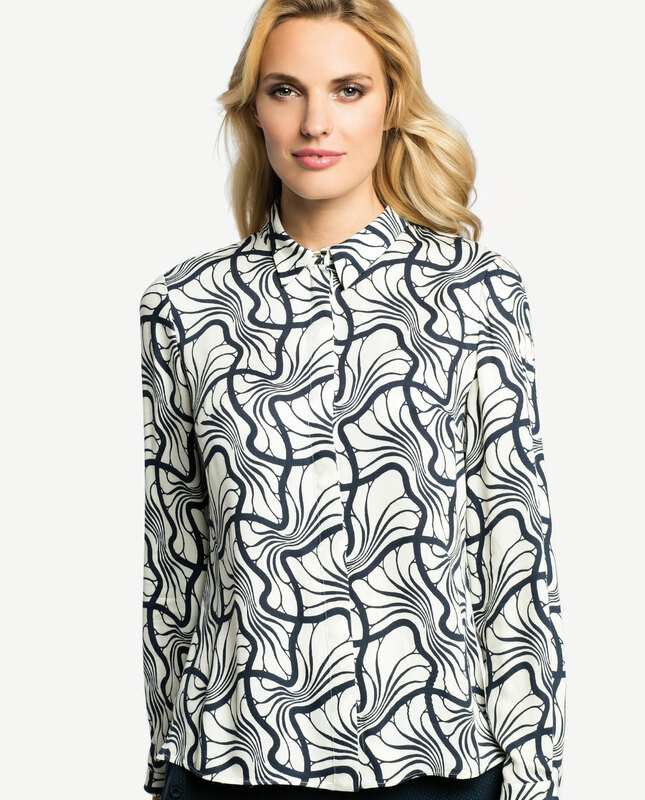 A blouse is a foundation piece for any woman’s wardrobe, ensuring a limitless number of looks which reflect your personality. Go for a perfect look! It looks fine as a casual outfit, when picking it up for work, opt for simplicity: classic trousers and fitted jackets. For evenings-out, make use of the colour palette intensity: decisive hues and unconventional styles. Fastened at the front with golden buttons.